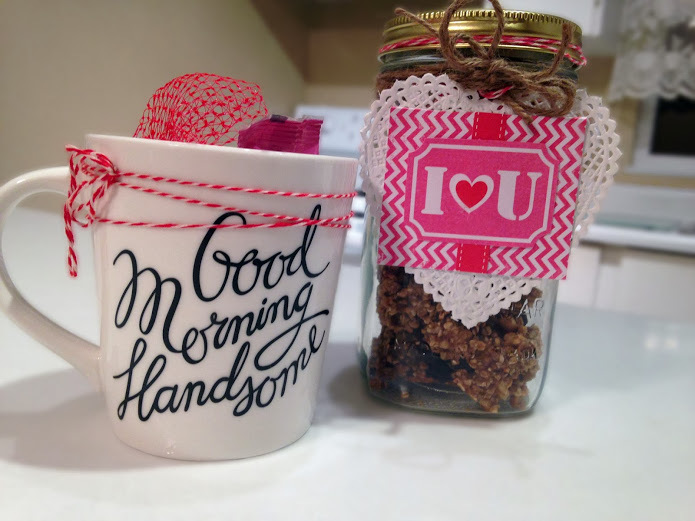 I know this is a bit late, but if you are trying to think of a last minute gift for your husband or boyfriend this is perfect because it's so simple, yet so cute! I was in the baking/arts and crafts mood and decided to create something for my lovely boyfriend for Valentine's Day. He's a huge fitness freak and I know how much he loves cookies that are super healthy. 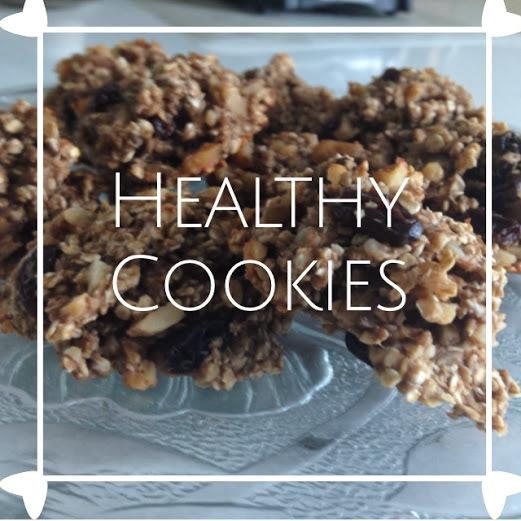 These cookies are really as healthy as it gets! These are fantastic since they are made with just three ingredients! Mashed ripe bananas, oatmeal and walnuts. I added some raisins for a bit more flavour and doubled the recipe so that I could keep some for myself. I got this recipe from www.skinnytaste.com which is where you can find the full recipe details. On their website it says that it makes 16 cookies, with half the ingredients. I ended up with 12 cookies, even after doubled the recipe. Now onto arts and crafts. I had a few mason jars lying around, so I thought it would be neat to put the cookies inside and include some cute tags on the outside. The cool thing about this project was that I already had most of the supplies and well it's a fairly inexpensive project. The rest of the supplies I bought at Michaels. 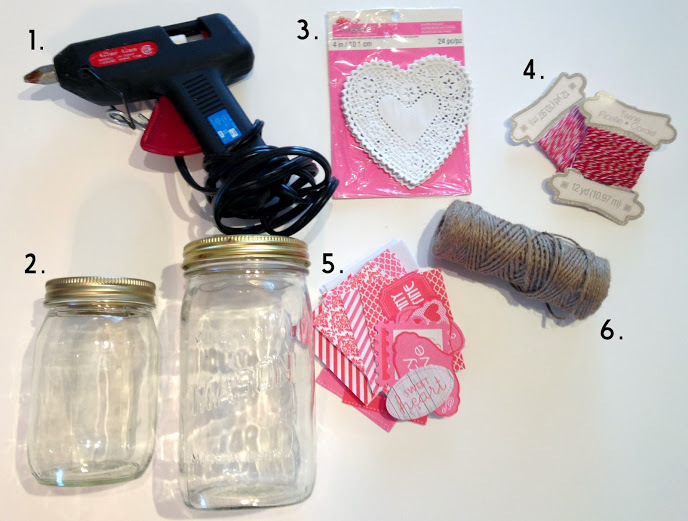 If you have a good printer the mini card making kit can easily be replaced with Valentine's Day printable templates online. This kit comes with cards, envelopes, embellishments and paper ribbons. I cut the card in half and only used the front piece. I then selected my choice of embellishment and then glued a paper ribbon onto the back of the embellishment. I then glued it onto the paper doilie and attached it to the yarn which I then super glued to the mason jar. I finally wrapped the twine on the top and used the back of the other half of the card to slide onto the top of the lid. Chapters always has some neat items, so I found this lovely mug for $10.00 and thought it would be great with some mini chocolate kisses and hearts filled inside. Voila! 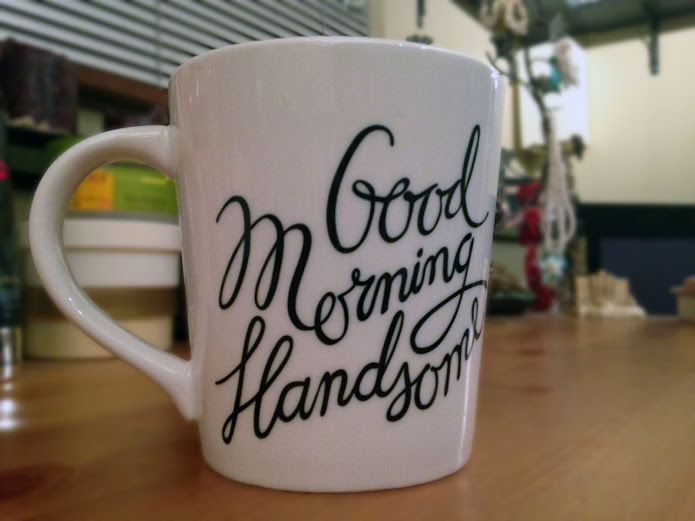 There you have a simple and cheap Valentine's Day gift idea for your man. Awe thanks Joanna! He definitely loved the gift and especially those cookies that he kept asking me to make them again:-). This is such a great idea. Will try this for Christmas.